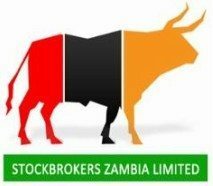 NOTICE IS HEREBY GIVEN that the Directors of Copperbelt Energy Corporation Plc on 1st February 2019 approved the payment of an interim dividend of US Cents 1.9 per ordinary share which translates to ZMW0.2267 per share using the Bank of Zambia mid-rate applicable on the date of declaration. In compliance with the requirements of the Securities Act No.41 of 2016 and the Listings Rules of the Lusaka Securities Exchange, the dividend shall be payable to the shareholders registered in the share register of the Company at the close of business on Friday, 1st March 2019.
Dividend payments will be effected from Monday, 4th March 2019. The transfer books and register will be closed from 27th to 28th February 2019, both days inclusive.